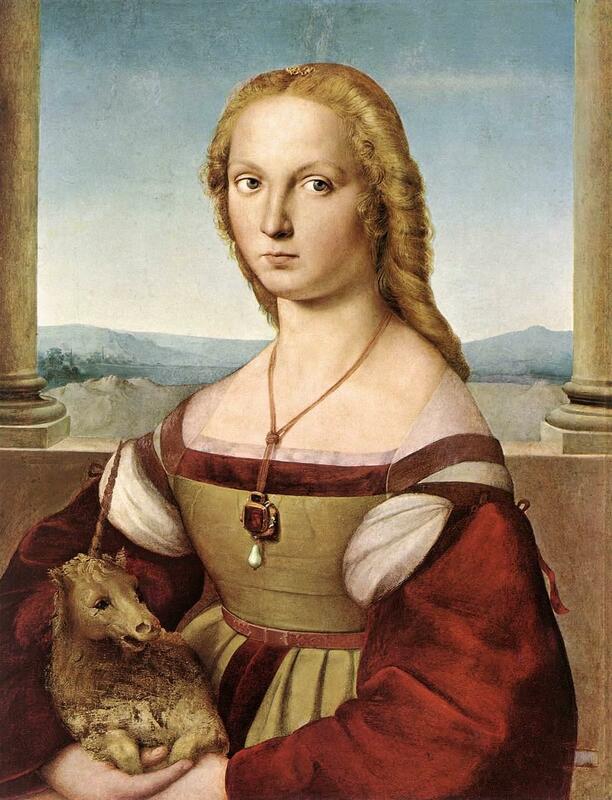 On the window side of the room to your left is a very famous portrait by Raphael called “The Woman with the Unicorn”. Let’s take a look. A young blond woman with blue eyes standing out against a Mediterranean sky is holding a small unicorn in her arms.